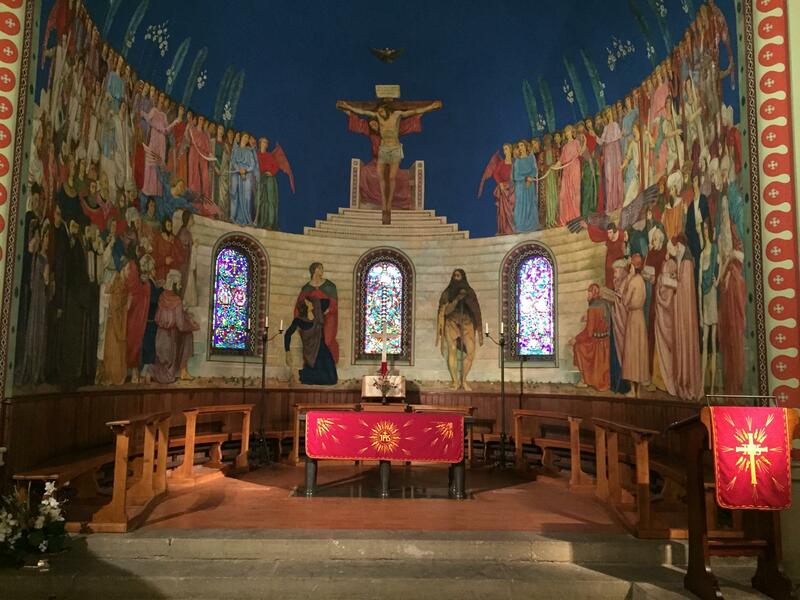 During the detailed visit of Saint John’s Church, known for its architecture inspired by the first paleochristian basilicas, you will discover the remarkable mural in the apse as well as the decor influenced by the Renaissance. This church is an extraordinary example of a spiritual and artistic synthesis. It shows how the reformation is on the move and that it has never ceased to evolve during its five centuries of existence. The visit is divided into eight sequences. We suggest you follow them in order. Look at the visit map to find the best spot to benefit from each of their content. The sequences are supported by music interpreted on Saint John’s organs. We recommend you to use earphones and we wish you a pleasant visit.